Former Tallahassee Mayor and Florida Democratic gubernatorial nominee Andrew Gillum has found a new home at CNN. The announcement comes mere days after the Florida Ethics Commission found probable cause on five of six counts that Gillum violated state ethics laws, according to a report from the Tampa Bay Times. Gillum was dogged during his campaign for allegedly accepting gifts from lobbyists on multiple occasions during his time as mayor. Records also showed that he accepted tickets to the Broadway show “Hamilton” from an undercover FBI agent. In addition to allegations of corruption, Gillum has also come under fire for his connections to anti-semitic organizations. Gillum has decried anti-semitism but has staked out numerous policy positions against Israel, including opposing the United States’ decision to recognize Jerusalem as the capital of the Jewish state. In 2018, Gillum surprised many by winning the Democratic nomination for governor on a hard-left platform. He was endorsed by socialist Sen. Bernie Sanders of Vermont during the primary. 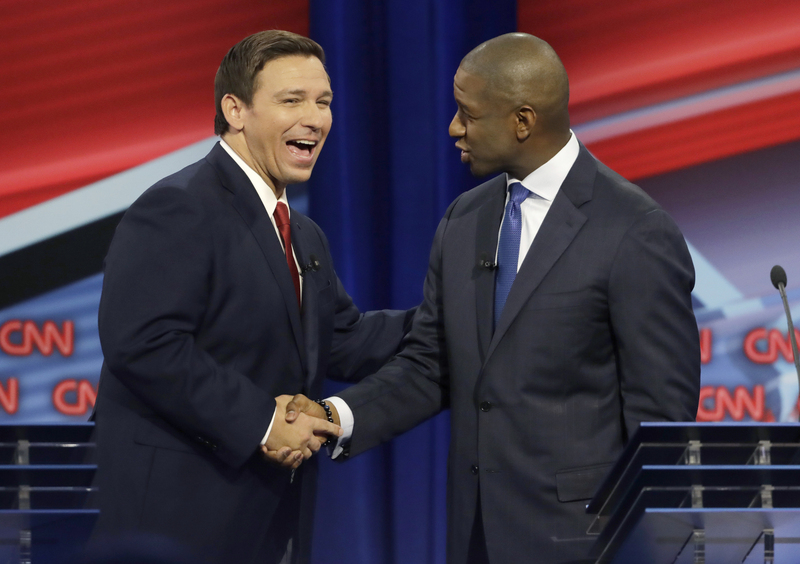 Despite leading in most polls during the course of the election season, however, Gillum was defeated by Republican Ron Desantis in what was one of the closest and most hotly-contested races in the country. After a week-long recount, Desantis was declared the winner by less than 35,000 votes. Desantis was sworn in as governor on Jan. 8.